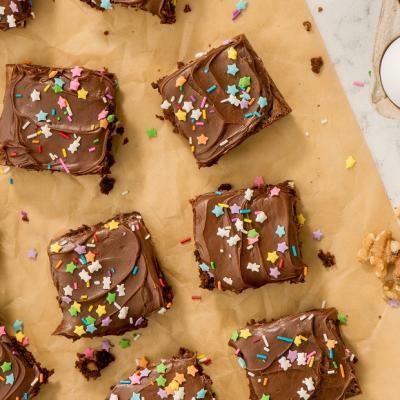 We can’t get enough of Chef Lynn Crawford’s brownies, this time with a s’more twist! Here’s how to experience camping, without the camping! Line a 9 x 13 inch (23 x 33 cm) cake pan with parchment paper. In a medium bowl, combine graham cracker crumbs, melted butter and sugar. Mix well and press evenly into bottom of cake pan. In medium heatproof bowl, set over a small pot of simmering water, melt dark chocolate and butter, stirring occasionally. Remove from heat and let cool. In another medium bowl, whisk together flour, cocoa powder and salt. In large bowl, whisk together sugar, eggs, and vanilla until sugar has completely dissolved. Stir in cooled chocolate mixture until well combined. Stir in flour mixture until combined, then fold in chocolate chips. Pour batter into prepared pan and bake until a toothpick in the centre comes out clean, about 30 minutes. 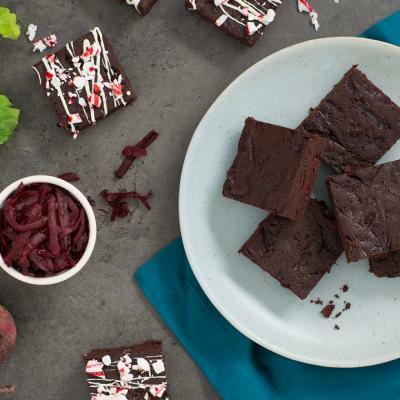 Let brownies cool completely before cutting into squares. In a very clean stand mixer bowl, combine egg whites, sugar, cream of tartar and salt. Whisk by hand to combine. Set bowl over a small pot of simmering water, making sure bottom of bowl is not touching water. Whisk constantly until mixture is hot and sugar is dissolved (about 120°F/49°C on an instant-read thermometer), about 6 minutes. Immediately transfer the bowl to a stand mixer fitted with the whisk attachment. Whisk on medium power for 1 minute. Increase to high and whisk until stiff, glossy peaks form, about 5 minutes more. Add the vanilla and whisk until just incorporated, about 1 minute. Use immediately. In a medium bowl, combine 3 cups (700 mL) sliced strawberries with 1 tbsp (15 mL) sugar. Gently toss to dissolve sugar. Let stand 5 minutes for berries to release juices. 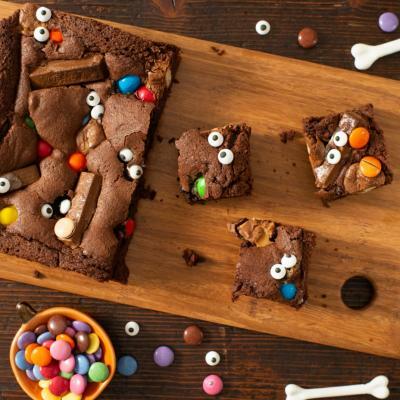 Arrange cut brownie squares on serving plates. Spoon over a few berries and their juices. Pipe or spoon a generous amount of Marshmallow Topping over. 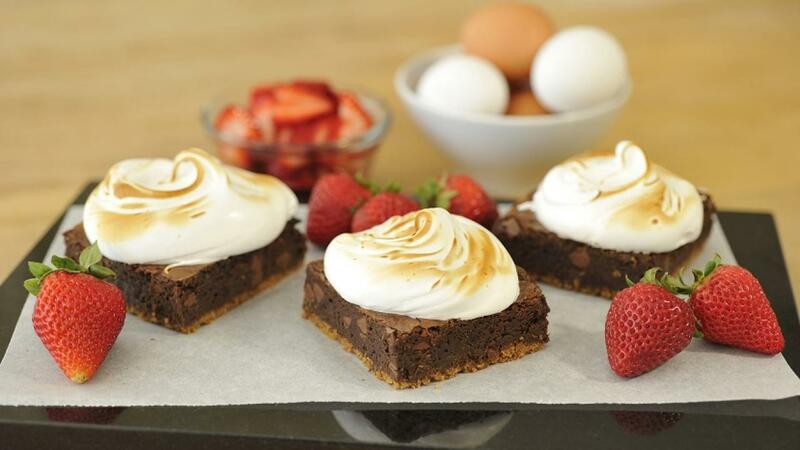 Lightly torch Marshmallow Topping with a small kitchen blowtorch for an extra special touch. Prepare Marshmallow Topping just before serving.